Maps answer the age-old question “How do I get there from here?” and help drivers move from Point A to Point B. From displaying the location of gas stations and restaurants to identifying alternate roads, maps enhance the ability of drivers to plan and execute a route. While the ultimate goal has not changed (Point A to Point B), electronic maps provide users information that paper maps cannot, such as address locations and estimated arrival times. GPS capability shows drivers their present location and turn-by-turn directions make the driving experience easier. Gathering route execution information allows for planned-vs.-actual reporting which helps businesses plan smarter, future routes. In short, today’s electronic maps are highly calibrated tools that provide users with unprecedented amounts of information. Access to accurate, current maps is a matter of increased importance for businesses using routing and dispatching software and onboard telematics. Despite this, many companies’ software programs are utilizing outdated maps, some as old as four years or more. 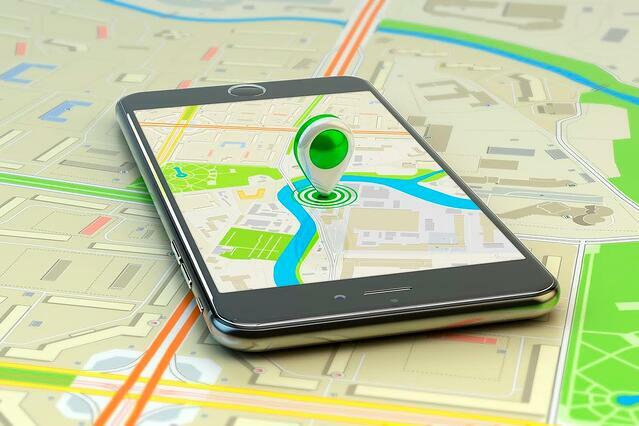 Why are businesses relying on obsolete maps to plan their delivery or service call activity? Most routing, scheduling and dispatching software companies obtain their maps from other providers. If a business using their software wants to update their maps, they need to purchase a license from the third-party mapping company. As licensing fees can run into the thousands of dollars, businesses often decide to stick with their older maps. They save money each year by not upgrading, but they end up losing money by using older, less efficient routes to run their business. Here’s an alternative: Customers with scheduling and routing software from TMW--integrated with PC*Miler from ALK Technologies-- receive upgraded route maps each year at no extra charge. Customers are able to route, sequence, schedule and dispatch using the most current maps available. Road names sometimes change, which can complicate identifying new customer locations. Annual map upgrades allow you to take advantage of new enhancements to the mapping software. New features of PC*Miler 30, for example, include a HOS Manager that provides built-in compliance for route planning, fuel stops and up-to-date fuel prices, weather and more--all features to enhance routing, safety and scheduling. You save time, money and improve customer satisfaction. Successful businesses have the most up-to-date tools at their disposal. Maps are among the most important items in your routing and scheduling toolbox. Ready to modernize your mapping, routing and scheduling now? Click here.